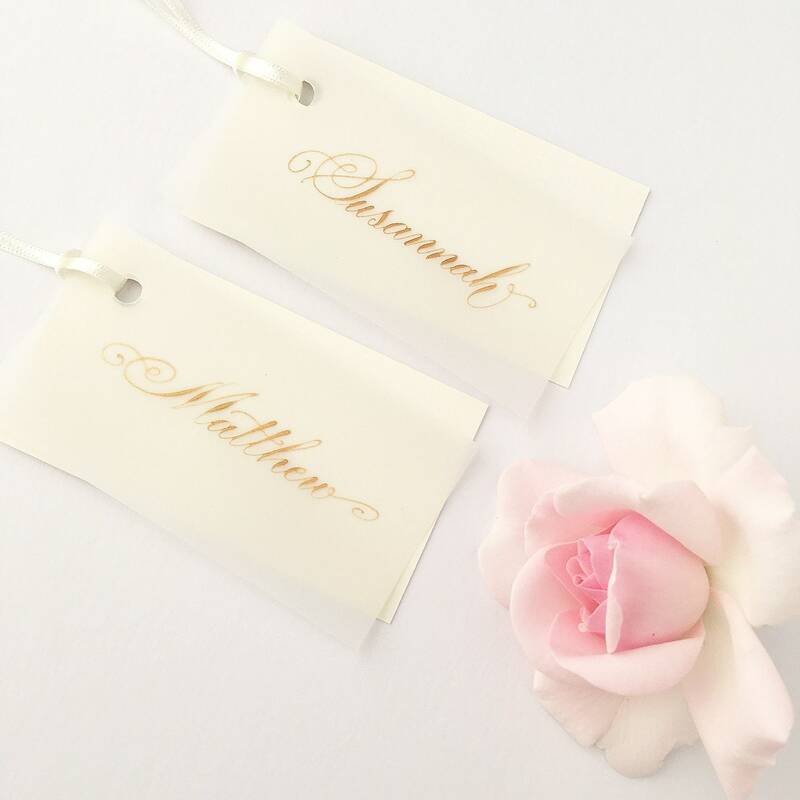 Pretty, on-trend calligraphy wedding place names with a sheer overlay for guests' names in beautiful gold ink in a luxe calligraphy style with flourishing. 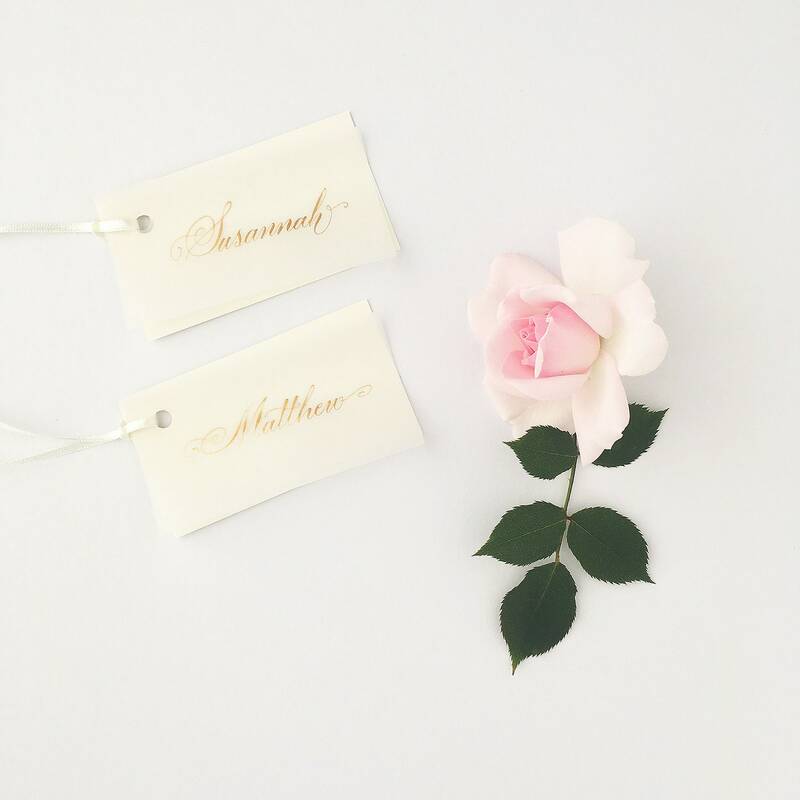 Each of my luxury place names is handwritten in romantic calligraphy in a modern flourished calligraphy style. 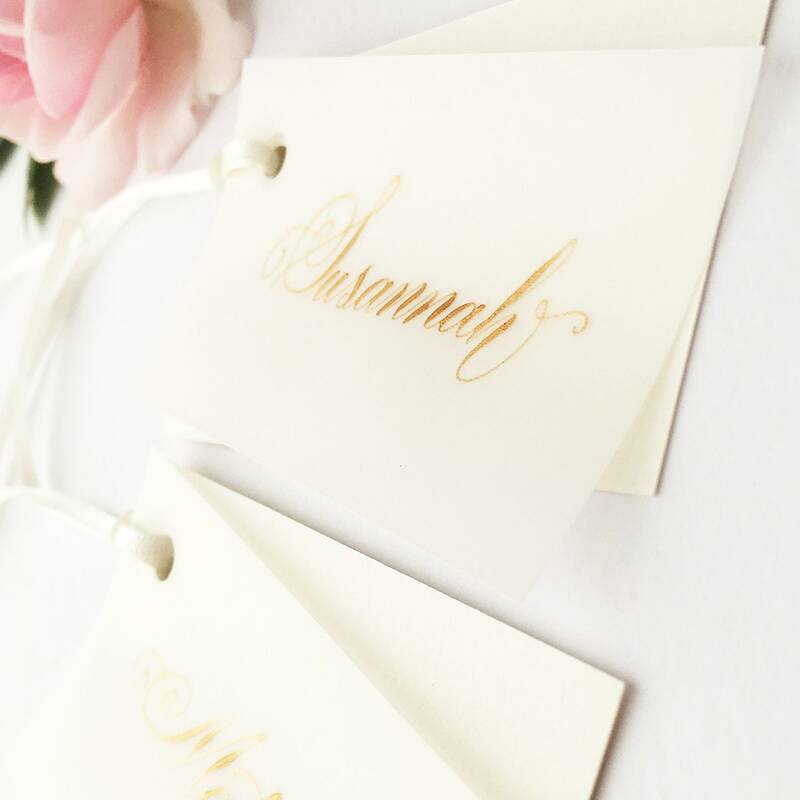 The samples shown here use gold ink but I can write in other colours: message me to ask for your chosen colour. 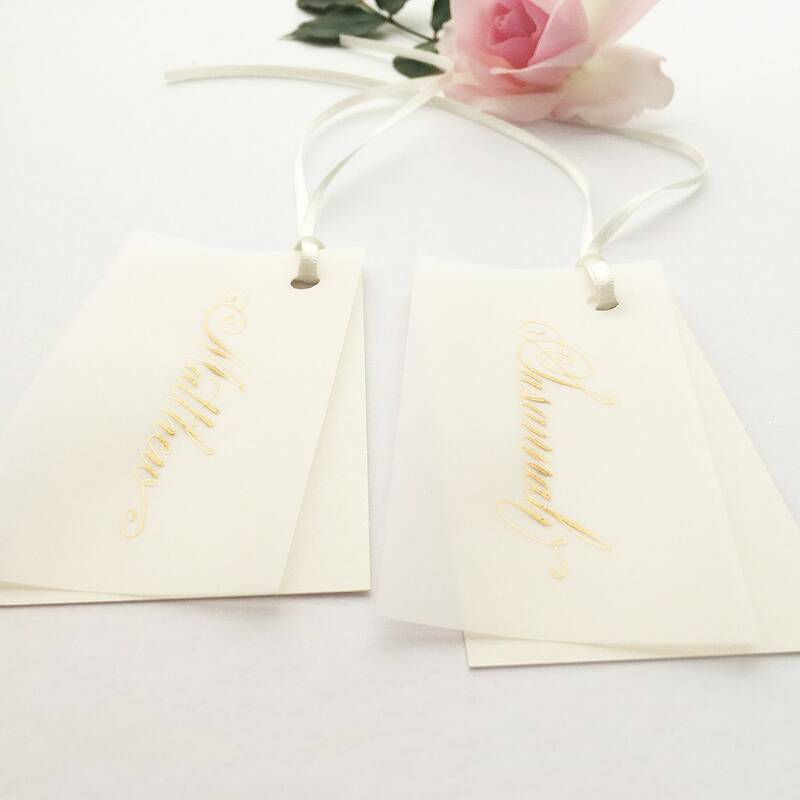 Punched hole and ivory ribbon included.